Members of the public body charged with promoting social mobility quit en masse last weekend, with its chairman Alan Milburn warning that ministers did not have the "necessary bandwidth" to address the issue. London, United Kingdom: As Britain finally reached a deal on the terms of its divorce from Brussels, civil servants in Britain are facing up to a mammoth administrative task that risks crowding out anything else. His comments were a particular rebuke to Prime Minister Theresa May, who used her first speech in office last year to promise to tackle the "burning injustices" that hold back poorer people. But they also reflect concerns about the impact of the efforts to extract Britain from four decades of EU membership on policymaking in general. A cartoon in The Times on Monday showed a large pig named "Brexit" suckling a pig with May's face, while its smaller siblings -- named education, social care, housing and the health service -- looked on hungrily. "It is pretty all-consuming," Amyas Morse, head of the National Audit Office, the government's independent spending watchdog, told MPs last month. He noted it was not just about specific new tasks relating to Brexit, but how pre-existing commitments were managed. Jon Thompson, chief executive of HM Revenue and Customs, has said he will conduct a full review of priorities by April, warning that some of its 250 programmes will have to be sacrificed. "You reach the point of organisational capacity and capability and you simply can't say 'I can do 250; now I can do 320; now I can do 350'," he told MPs in October. 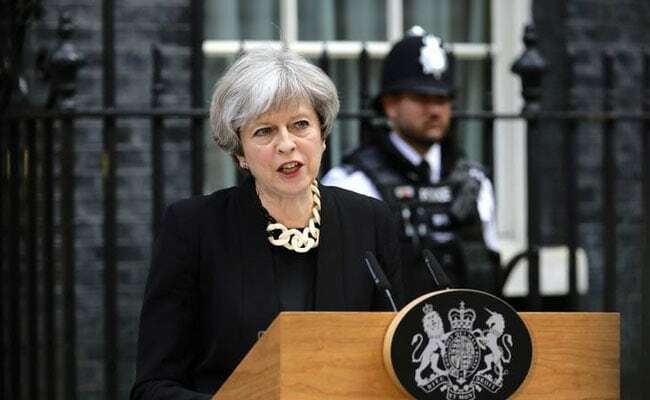 May took office in July 2016 in the wake of the Brexit vote, and used her first speech to promise radical changes to help people struggling with insecure jobs, the cost of living and inequality. Evidence of this has been in short supply, while her room for manoeuvre was further eroded after the snap election she called in June, when her Conservative party lost its parliamentary majority. Plans for more selective state-funded schools were scrapped in the face of Conservative opposition, while a bid to water down pensioner benefits was also shelved in order to secure a governing deal with Northern Ireland's Democratic Unionist Party. But many Tories do not want to be defined by Brexit, particularly those who wanted to stay in the EU. "While Brexit is something that we have a duty to see through... we must not allow that to deflect us from important domestic priorities," Justice Secretary David Lidington said. MP George Freeman, head of the Conservatives' policy forum, said the party risks being "defined as a narrow party of nostalgia, hard Brexit, public-sector austerity and lazy privilege". In the budget last month, the government announced plans to increase the supply of housing, and has also recently published an industrial strategy focused on bolstering productivity. But Jill Rutter, from the Institute for Government, warned: "There's a sense that the government at the moment is trying to do everything." She added: "In terms of ministerial bandwith, Brexit is the thing that has a hard deadline, and that they have to do. Everything else is in a sense more voluntary." After a nearly 20 percent reduction in the number of civil servants since 2010, the headcount is starting to rise, with 3,000 posts already created to deal with Brexit. Departments are drawing up "detailed delivery plans" for around 300 policy areas, preparing for a range of outcomes from the negotiations with Brussels -- including that the talks break down. Finance Minister Philip Hammond, after already committing &#163;662 million (750 million euros, $885 million) on Brexit preparations, last month put aside an additional &#163;3 billion. But Rutter warned that no matter how much they prepare, officials could not act without political decisions. "The big conversation that doesn't yet seem to be settled in government, and paralyses a lot of future activity, is, What are we aiming for in our long-term relationship with the EU?"